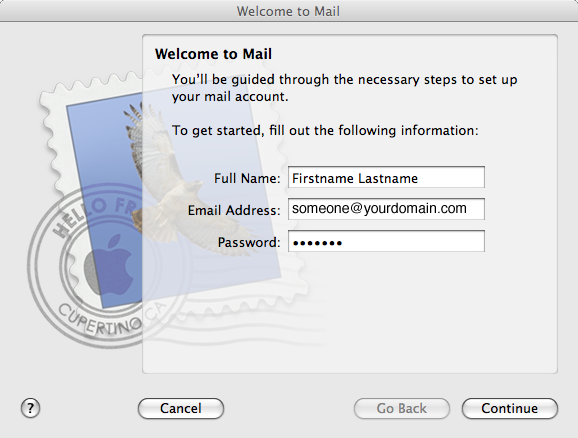 The following guide shows you how to set up a POP3 email account on your mac mail. Before starting you will need your email address and password. Click on "File" from the Mail menu in the top toolbar. A new pane will open for you to set up your new account or click the add button. Select the email account type: POP. Add a description like your email address. Enter your full email address under username and the password for your email account. 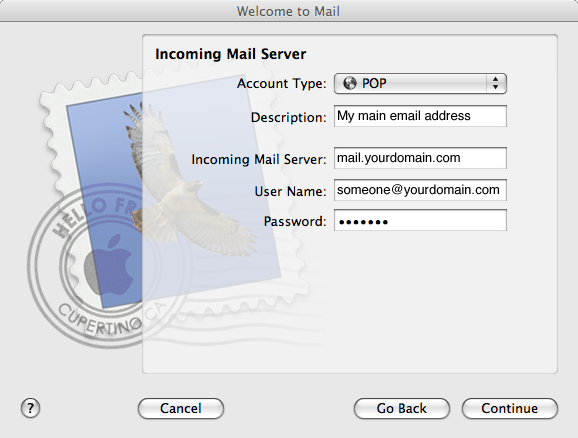 Set the outgoing mail server to your internet provider mail server (E.G mail.bigpond.com). If you are unsure of your internet provider mail server Click Here for a list. Your computer is now connected to your email account.